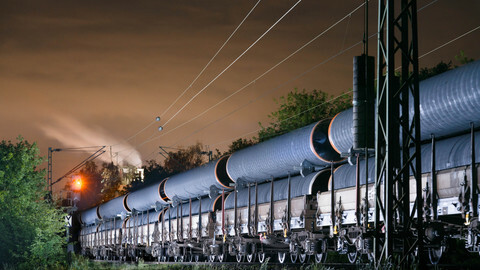 Investors should "think twice" about putting money into Nord Stream 2 due to "uncertainties" around the Russian pipeline, the EU energy commissioner told EUobserver. "I would really think twice, or many more times, simply because there are a lot of uncertainties," Maros Sefcovic said in an interview. "It's the decision of the project promoters if they want to proceed in this atmosphere ... which might lead to legal disputes down the line," he said. "Knowing how politically sensitive this [pipeline] is for many member states and for many operators [EU energy firms], we have almost a guarantee that it would end up being brought before the European Court of Justice," if it was built on current terms, he added. 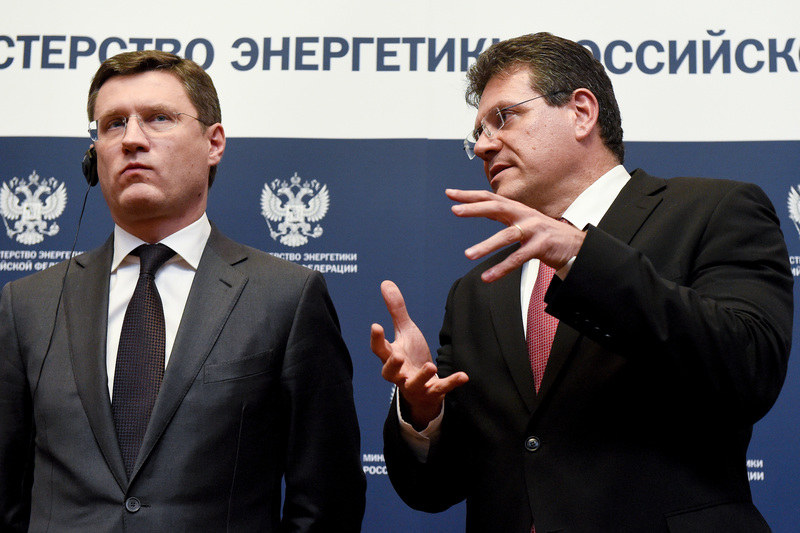 Sefcovic spoke amid Russian considerations on how to finance the €9.5 billion project to ship more gas to Germany under the Baltic Sea from 2020. Five EU energy firms from Austria, Germany, France, the Netherlands, and the UK have already put about €3 billion in the pot. Gazprom, the Russian firm building the pipeline, aims to spend €1.5 billion of its own money on it in 2018. 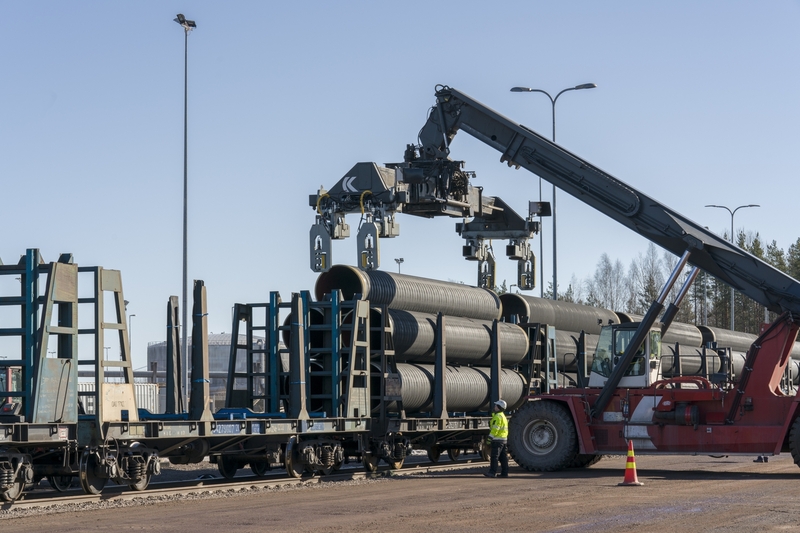 It had planned to also seek funds from capital markets in the new year, but it has said it might wait until Denmark, Finland, and Sweden had given permits for the pipe to go through their waters and economic zones. Sefcovic's "uncertainties" referred to ongoing talks on whether to amend EU gas laws to cover offshore pipelines and whether to give the commission a mandate to negotiate Nord Stream 2's legal model with Russia. If the commission's gas law proposal goes through and if it gets its mandate, Gazprom could be bound to ensure the pipeline was not used to inflate prices or cut off clients in eastern Europe. It could also be forced to ensure it did not harm Ukraine's gas transit business, amid EU pledges to protect Ukraine from Russian aggression. Such restrictions could see Russia walk away from the project, but the commissioner said that was not his intention. "We're trying to make sure western countries have the gas they need, that central and eastern European countries are treated fairly, and that we help the Ukrainians in this difficult time," he said. He said market developments should also make investors think twice. 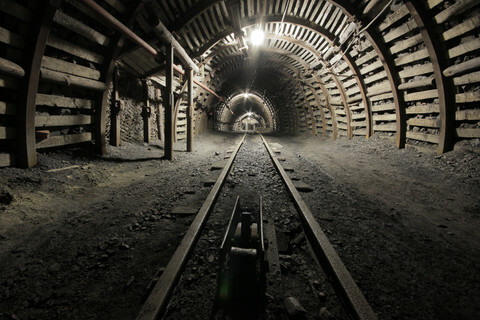 He said the EU would need about 400 billion cubic metres (bcm) of gas a year by 2030, but that if all the pipeline and liquid natural gas projects under discussion went ahead there would be 900 bcm of import capacity. "We're risking to have stranded assets and overcapacity," he said. Sefcovic said 15 EU states, mostly Nordic and eastern European ones, backed his proposals. But he said Germany, as well as Austria and the Netherlands, whose energy firms were among Nord Stream 2 investors, did not want to put obstacles in its path. "After some initial enthusiasm … we're now in a disappointing moment because the deliberations are going on and on," he said. He said the prospect of the centre-left SPD party forming a coalition with chancellor Angela Merkel's centre-right bloc in Germany augured badly. Sefcovic's talks with SPD top brass showed "they prefer clearly to keep this project in German hands - they're reluctant to engage in discussions on amending the gas directive and on the mandate". Merkel's chancellery also told him Nord Stream 2 was "a purely commercial project" that did not require EU intervention, but Sefcovic said some of her top MPs and MEPs, some SPD euro-deputies, as well as Germany's Green party were on his side. "We need such an important country as Germany to play ball with us," he said. The fact the US, in August, threatened to fine Nord Stream 2 investors in punishment for Russia's interference in American elections has also spooked markets. Sefcovic said the EU had gone into "diplomatic overdrive" to make sure the US did not fine EU firms without prior "consultations". But he said US leader Donald Trump was hard to predict. "It is, at this moment, a matter for the White House because the president has a great deal of discretion on this", the commissioner said. The Nord Stream 2 consortium, a Gazprom vehicle, reacted bullishly to Sefcovic's warning to "think twice". 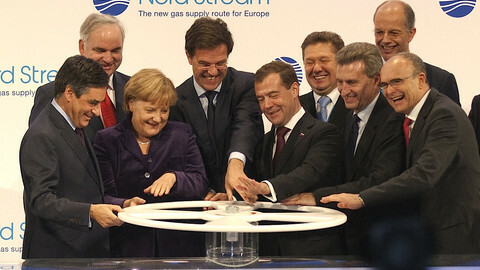 "Nord Stream 2 is supported by five major western European energy companies that have each committed up to almost €1 billion to the implementation of the pipeline," the consortium's Sebastian Sass said. 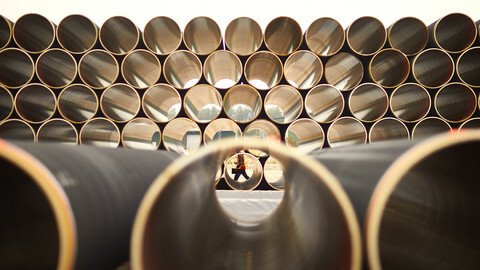 "It shows that there is both market demand and great confidence in … Nord Stream 2," he added. "In Germany the overall impression is, that the project will come … Merkel is not against it. That means she supports it," he said. 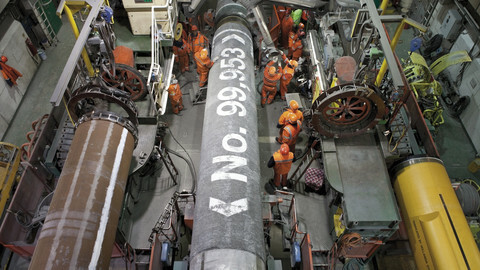 Meister said the fact Gazprom was prepared to dig into its own pockets meant "the investment risks are limited". He added that energy companies were used to working "in an even more risky environment" in other parts of the world. "Except the US sanctions, there are no real risks to stop the project," he said. "The US sanctions are a big question mark, because it could hurt their [EU firms'] business in the US and in other regions," he added. "But we will see how much will come, and Germany and other big EU member states will lobby Washington not to focus on Nord Stream 2," Meister said. 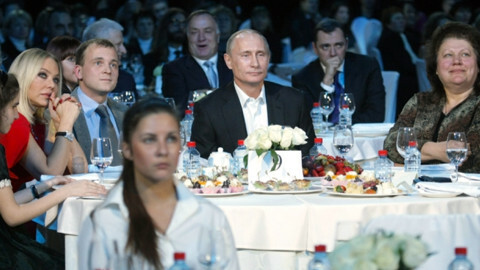 Will EU join new US sanctions on Putin elite? 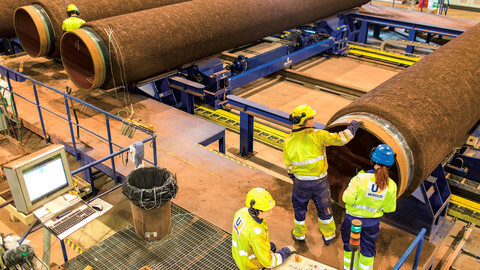 Russia said its Nord Stream 2 gas pipeline might bypass Danish waters, after a new law that increased uncertainty on permits. Proposed law could complicate Russia's plan to build new gas pipeline to Germany, but jurisdictional issues mean project will be decided by Moscow and Berlin. 'Oligarch clause' in new US sanctions on Russia to start life on 29 January - but to what extent will the EU and US coordinate a blacklist of Putin's cronies? Washington would still like to block a planned gas pipeline between Russia and Germany but is not yet considering hitting companies involved in the project.